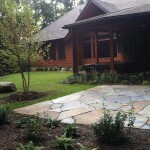 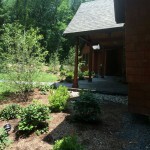 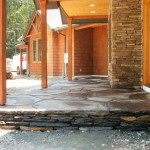 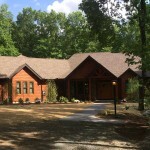 Portfolio Categories: Lighting, Master Plans, Patios, Plantings, and Stone Paths. 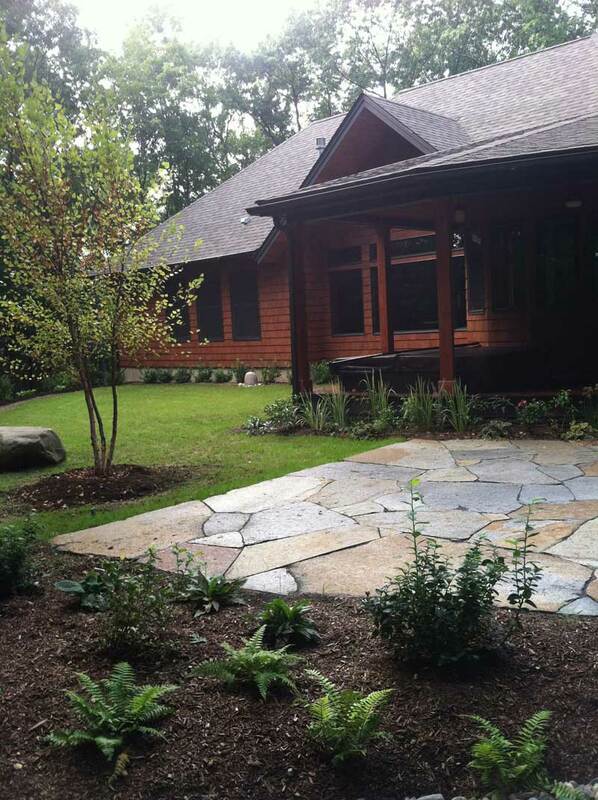 Paradise City Landscape Design worked closely with the owners of this nestled arts and crafts house to site their residence on a wooded lot on Baker Hill. 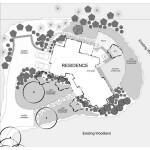 Working with the contractor/architect during the new construction, Paradise City Landscape Design developed a full site plan. 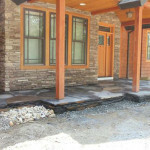 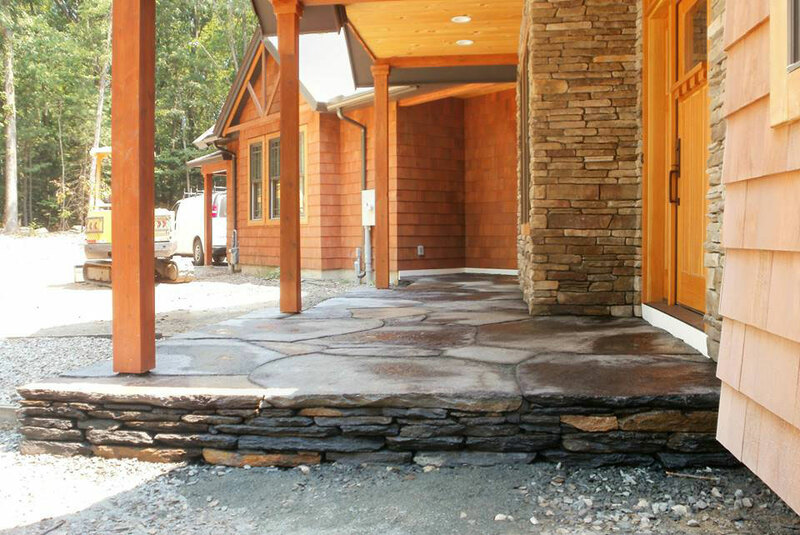 The landscape installation was completed over several years, with the Goshen stone landing installed first at the front entrance. 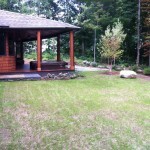 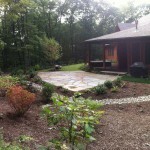 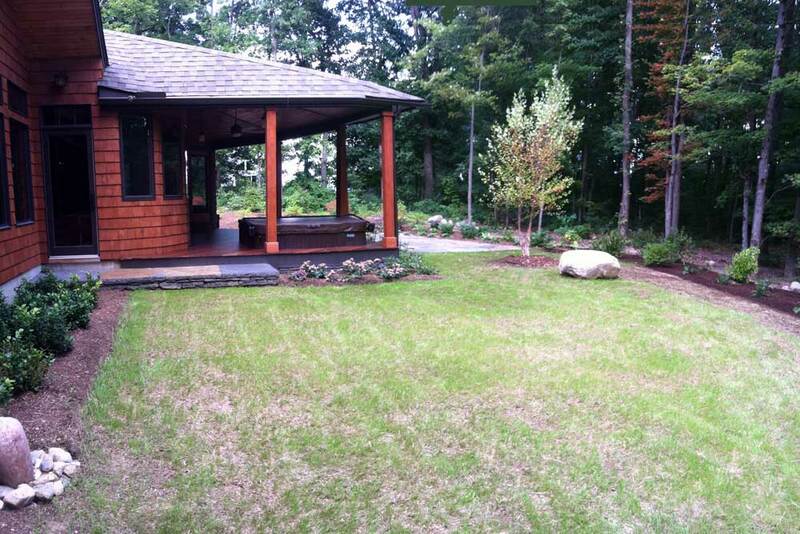 In the second year, the back yard was installed with a Goshen stone patio, plantings, lighting and lawn. 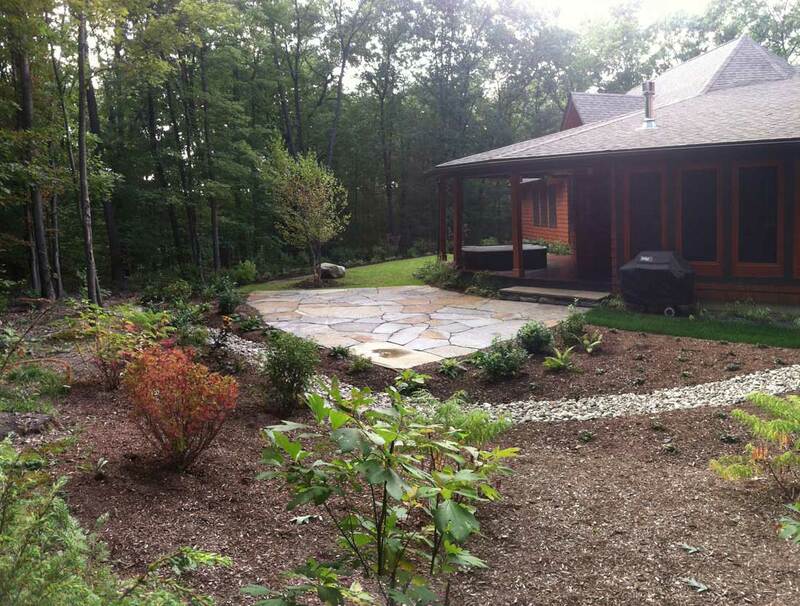 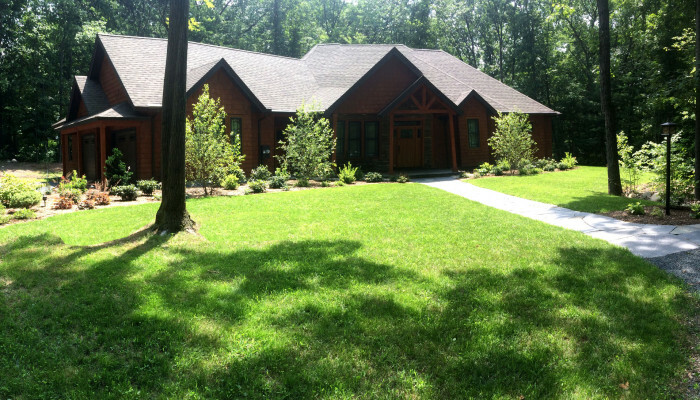 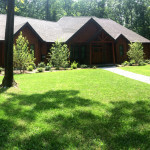 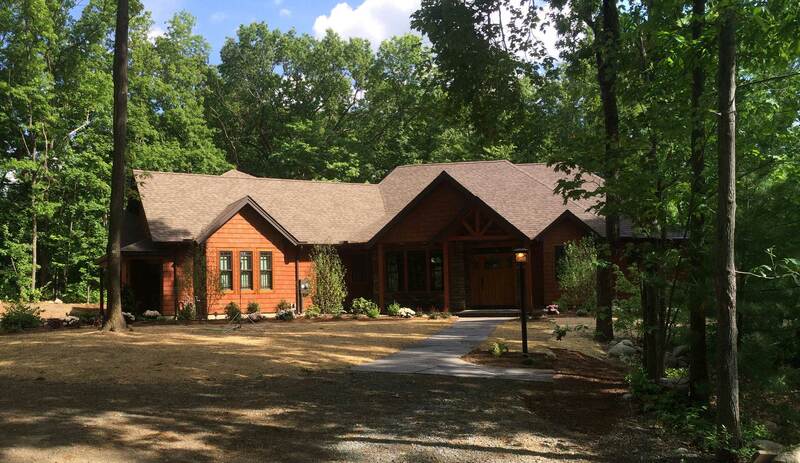 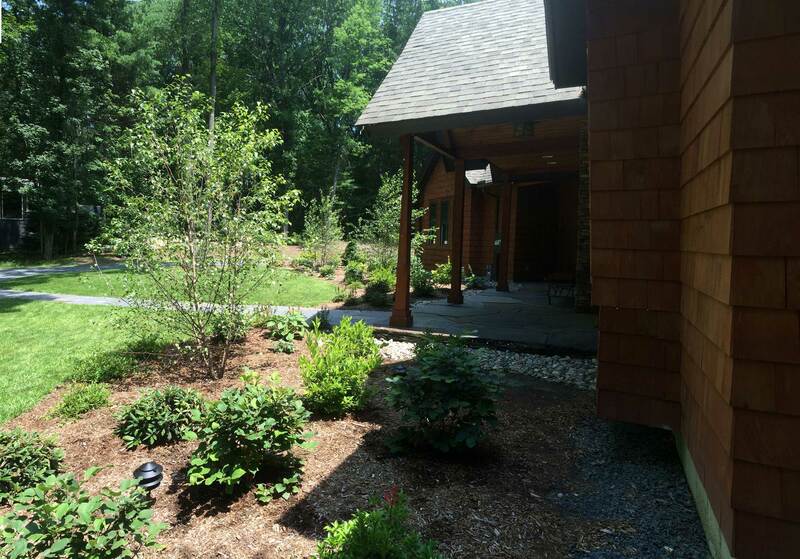 The following year, the front yard landscaping was completed, including the Goshen stone path, oil and stone driveway, lighting, plantings and lawn. 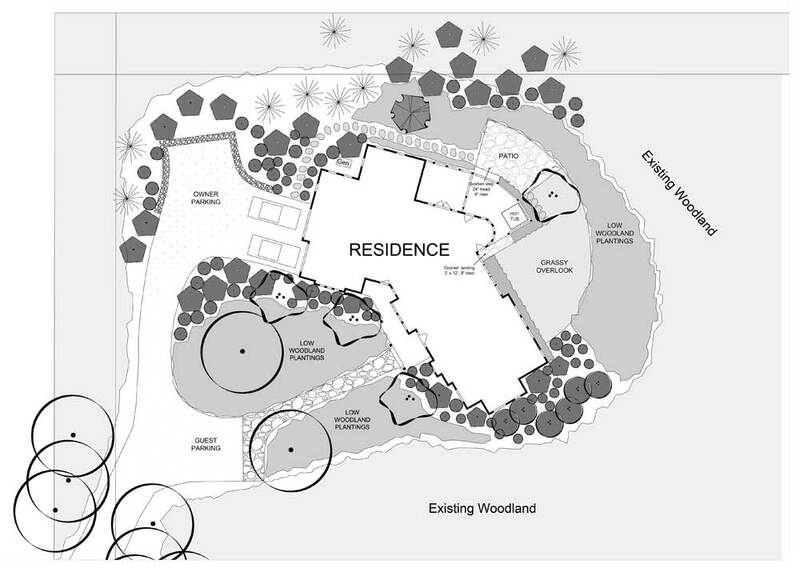 The owners of this quiet hideway enjoy their secluded garden and the long views into the woodland, as they enjoy their private outdoor hot tub.